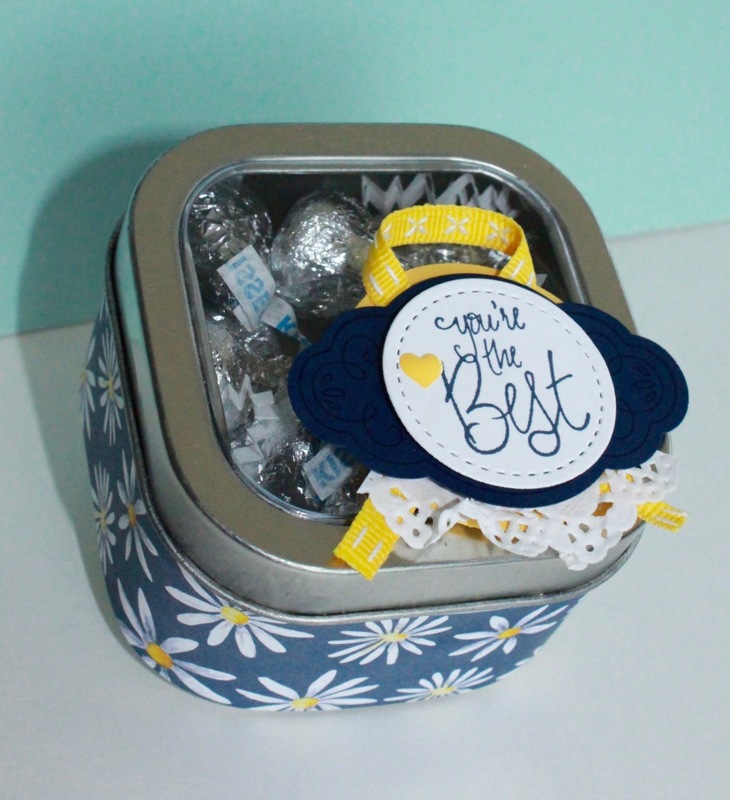 Just Julie B's Stampin' Space: Too-Cute Tagged Tin for Classes this Week! I hoarded had these tins from a while back and decided it was time to share them with everyone! So we're gonna cutsie them up with NEW goods! 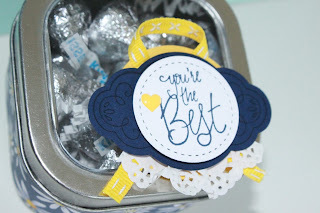 The super cute bunch of layers we're making on this tag uses the new Label Me Pretty stamp set and coordinating punch - Love it!! And we're adding a few other fun touches - NEW stitched ribbon (sooo cute! ), die-cutting with a Stitched Circle Framelit, and my favorite Enamel Shapes. 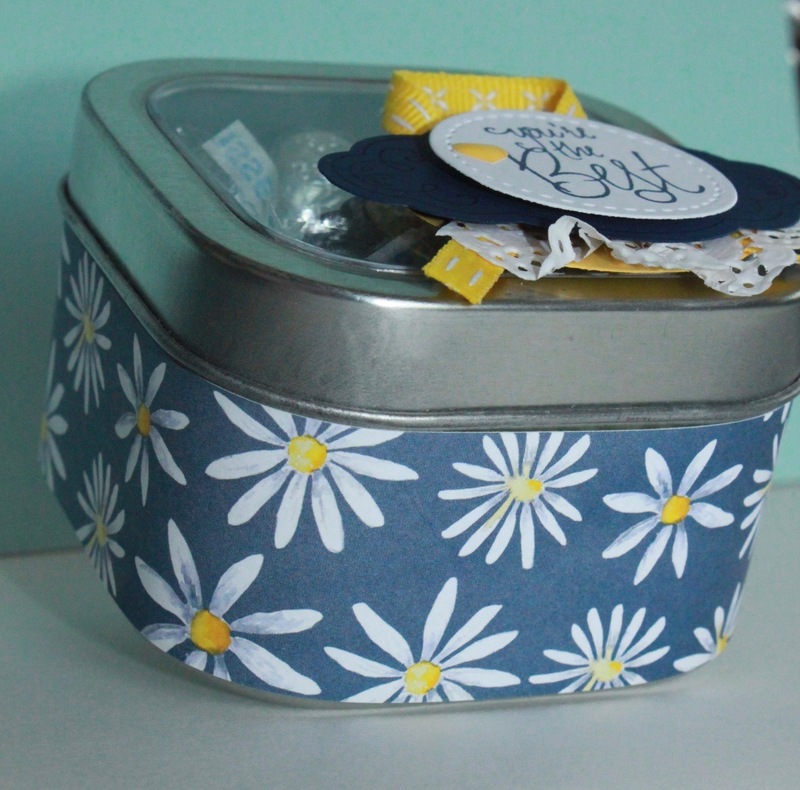 And, of course, NEW fabulous papers - from the Delightful Daisy Designer Series Papers ties the whole project together! 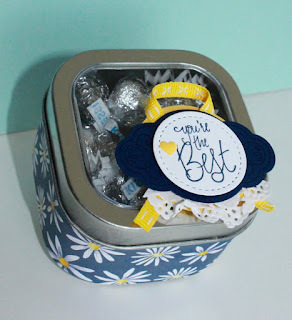 I hope you'll be coming to class to make one of these with us! And, if I haven't given you one already - NEW catalogs are here for you! !